Pair of sconces, of iron and carved giltwood; each backplate having three arrows crossed behind a bow over festooning and rosette, three scrolling candlearms terminating in wooden cups. Not electrified. CONDITION: Excellent condition. Desirable wear to finish consistent with age and use. 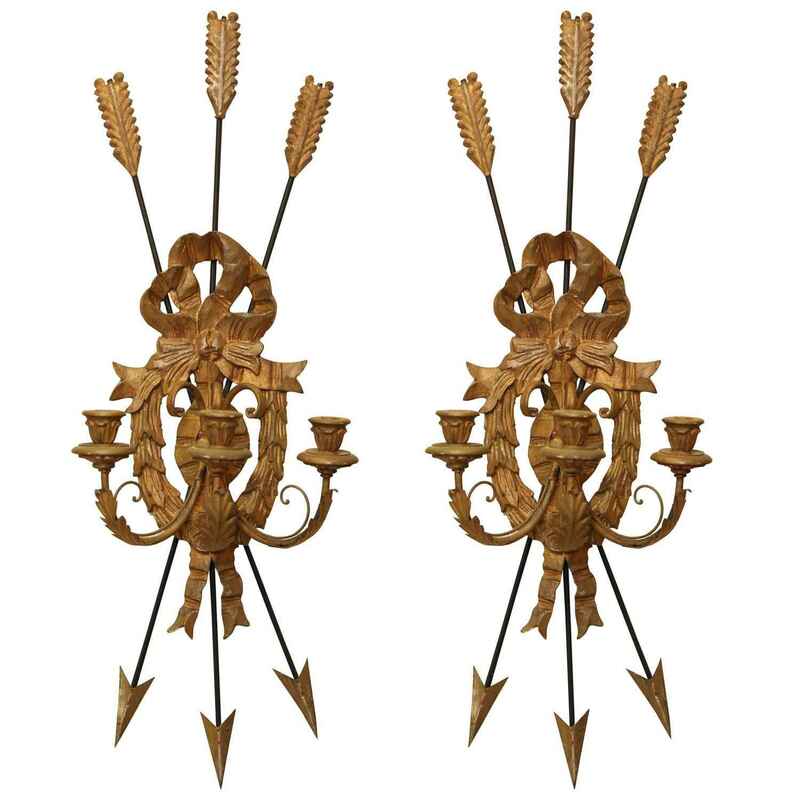 Pair of sconces, of iron and carved giltwood; each backplate having three arrows crossed behind a bow over festooning and rosette, three scrolling candlearms terminating in wooden cups. Not electrified. CONDITION: Excellent condition. Desirable wear to finish consistent with age and use.